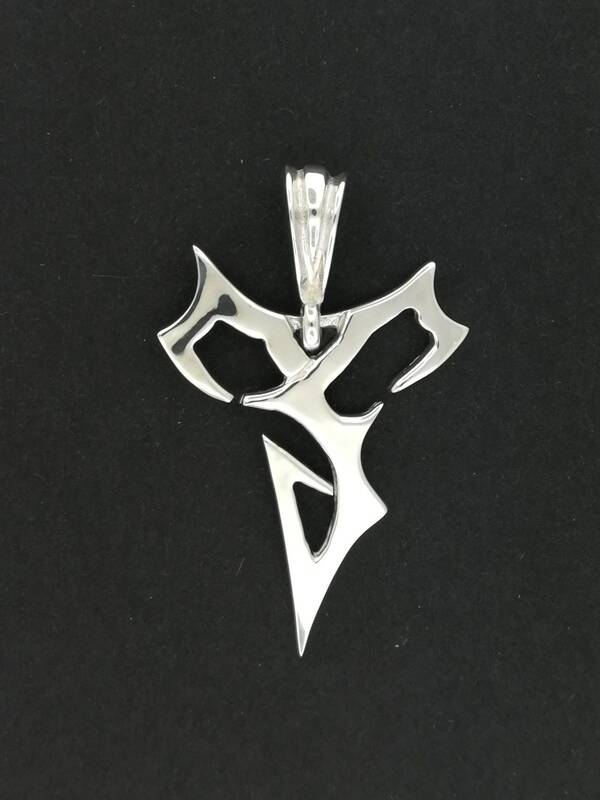 This is a handmade stainless steel pendant based on the one worn by Tidus from Final Fantasy X that is made to order. The pendant is 2 inches long plus the bail, 1.25 inches wide and 1.5mm thick. The pendant in the picture is in sterling silver, but I wanted to offer it in stainless steel for customers. Once I have one made in stainless steel, I'll update the picture. This design was created around a custom request for a Tidus pendant for a cosplayer. This is a fan made piece for those like myself who want to wear something of quality! 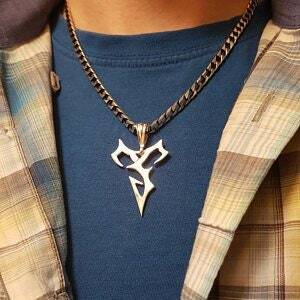 In Final Fantasy X, Tidus is a player for the Zanarkand Abes, an underwater sport of blitzball, and wears his blitzball team logo, based on a fish hook, as a pendant and earrings. The design is loosely based on the one from the game. Ask any gamer that has played Final Fantasy X and they will know where the idea for these came from! I have played most of the games in the Final Fantasy series, and often get requests for pieces made based on the games. Well, your request is answered!